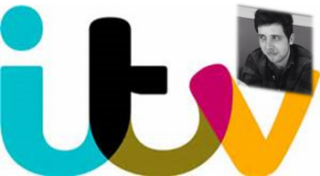 Vacancies for the 2015 ITV Apprenticeship scheme are going live on the 4th June. We asked Zak, one of the current Apprentices to give his top tips for applying. The ITV Apprenticeship scheme is a great way to get your foot in the door at a brilliant broadcasting company. If you’re interested in learning on the job while you’re earning then the scheme is perfect for you. It couldn’t be easier to apply and find out more. The ITV jobs website (http://www.itvjobs.com/working-here/apprenticeships/) has lots of useful info on the scheme and what the requirements are. There is also an ITV Careers Facebook page (/ITVCareers), which contains more specific information on the different departments you can apply to join. It’s also a good idea to follow @ITVCareers on Twitter for updates too! When applications open in June, you will need to fill out an online application form which will ask you a number of situation based questions to assess how you would react and your aptitude in certain tasks, as well as including sections to upload your personal info. Answer all the questions honestly and truthfully as there isn’t necessarily a right or wrong answer- it’s all about what YOU would do in that situation. Try not to think about what they might want to hear. You will need to pick which department you wish to apply for, and also the Facebook page should include information on what each will entail and who they might suit. Take some time to think about what you think suits you best as each department is very different and will require different skills and types of personality. If you pass the initial application, you will be invited along to ITV to attend a group assessment day. Here, you will be split into groups based on the department you’ve applied to. In your groups you’ll be set a variety of tasks and will be observed by people you would potentially be working with if you were to be successful. Once again- BE YOURSELF! There’s no point in pretending to be something you’re not, because it’s not going to help you in the long run if you do end up being successful and you aren’t the same as you were before! There will also be various talks and speeches on the day from the scheme coordinators and representatives from the apprenticeship training provider. Remember- this is your chance to ask questions! And find out more about the scheme and if you feel it is right for you. After the assessment day you will be asked back for at least one interview with your potential manager from the department you’ve applied too. It sounds obvious, but make sure you dress well and have had a think about what you might say about yourself and your experience. Have a think about what’s your unique selling point. Consider what you’ve achieved and what talents you have already. Think of specific examples of where you’ve applied certain skills or maybe where you’ve learnt new ones! Even if these don’t directly relate to television, or even if this is your first job application, you should be prepared to explain what makes you a valuable asset. Most importantly (and once again!) be yourself. It’s fine to be nervous, it’s fine to be lacking in actual work experience and it’s fine to be unsure what you want to do in the long term. But be honest about those kind of things and do your best to be genuine, nice, polite and enthusiastic – they will all go a long way!